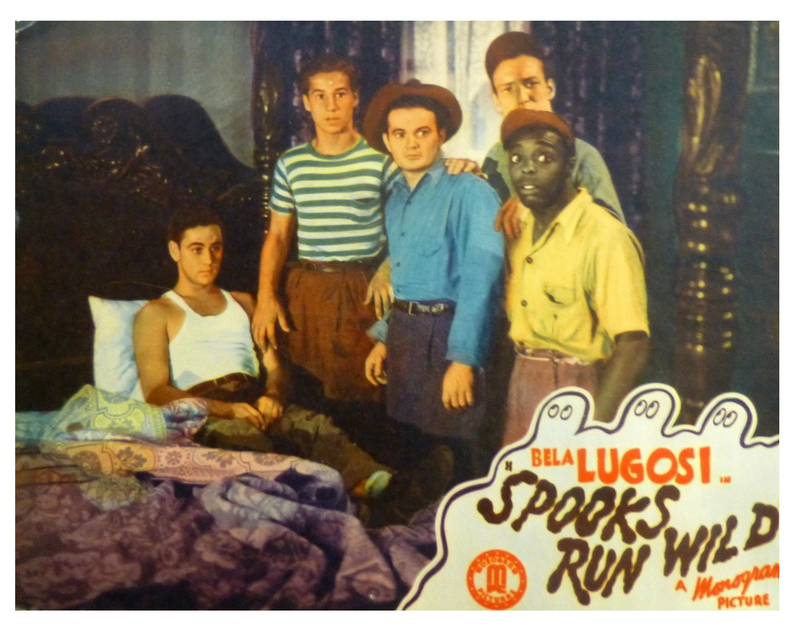 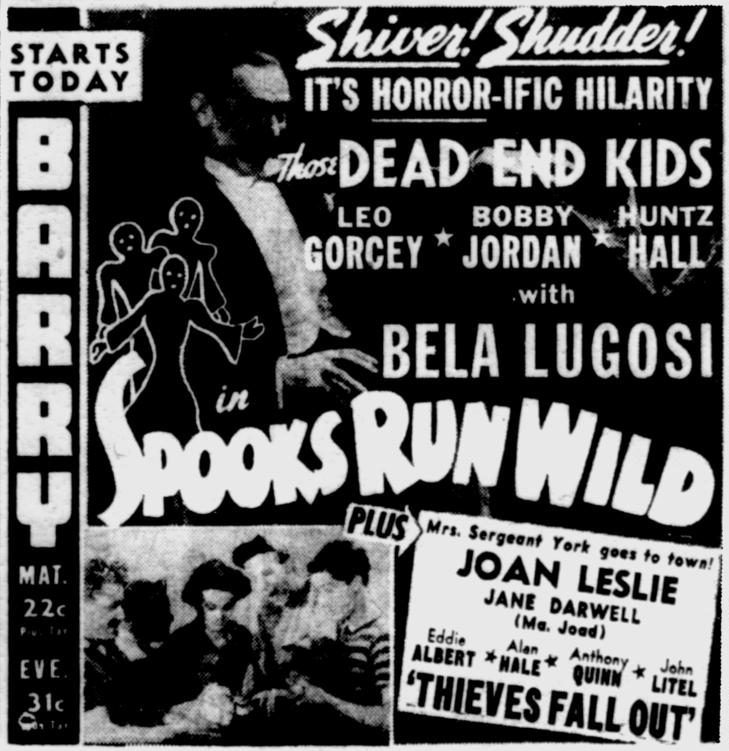 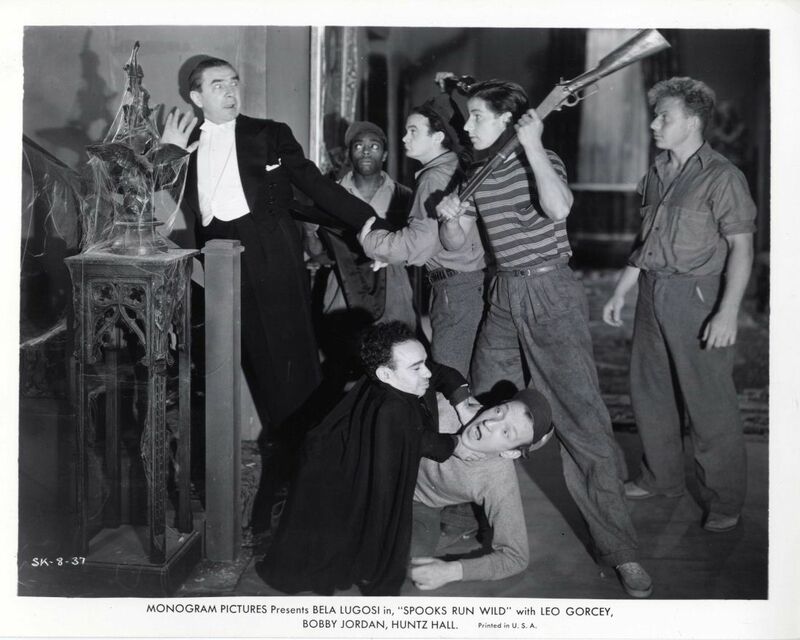 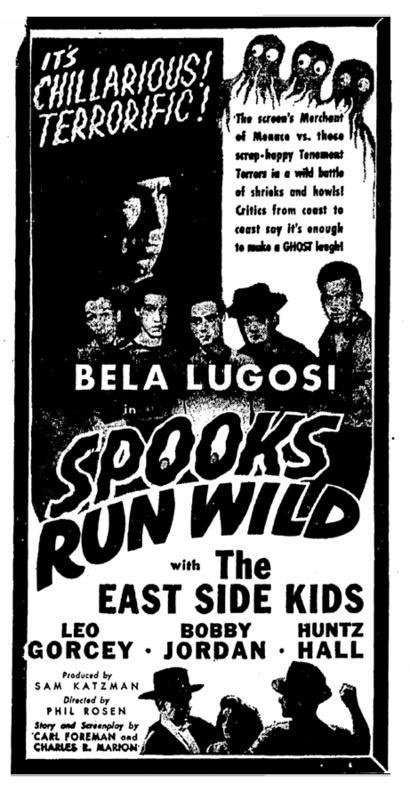 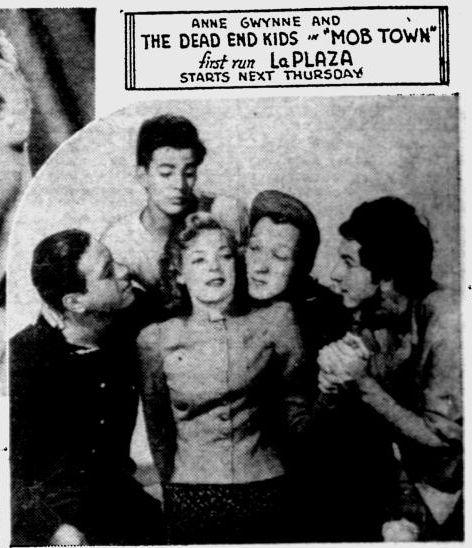 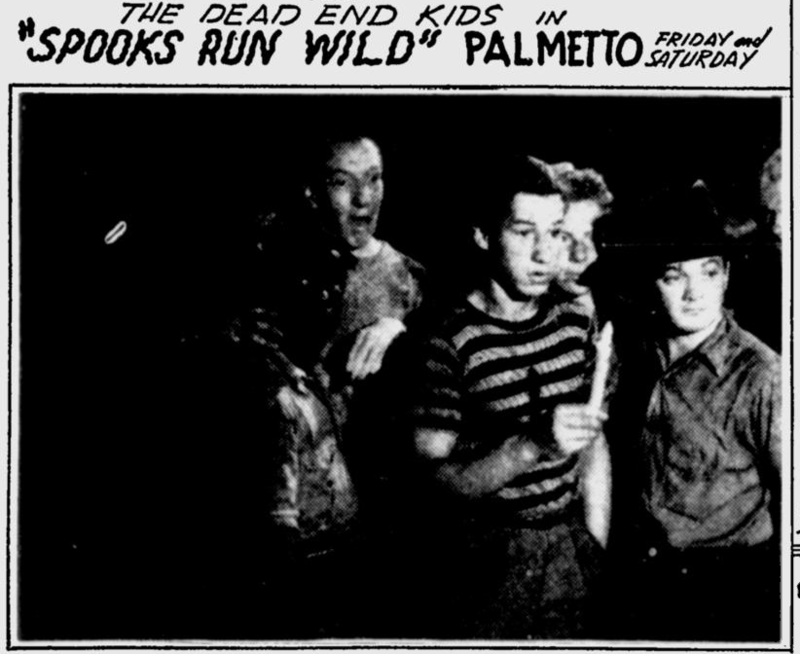 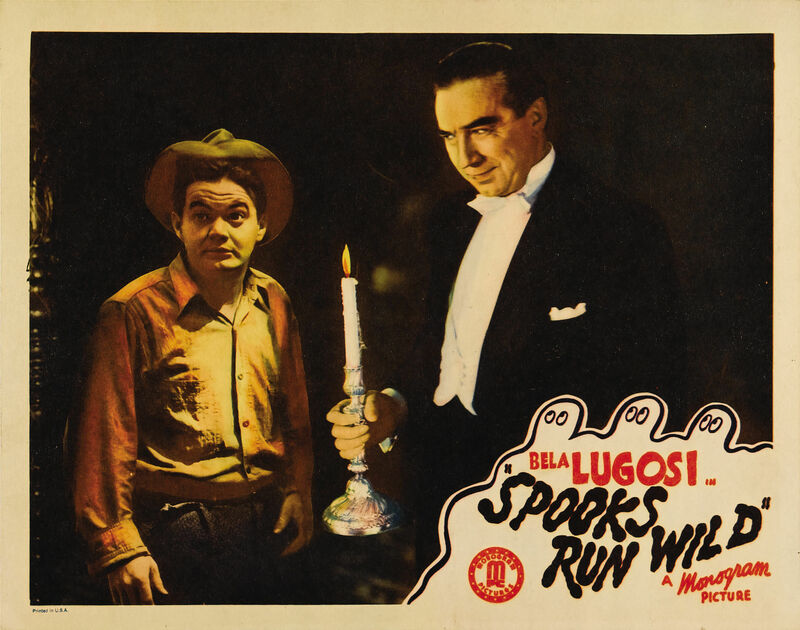 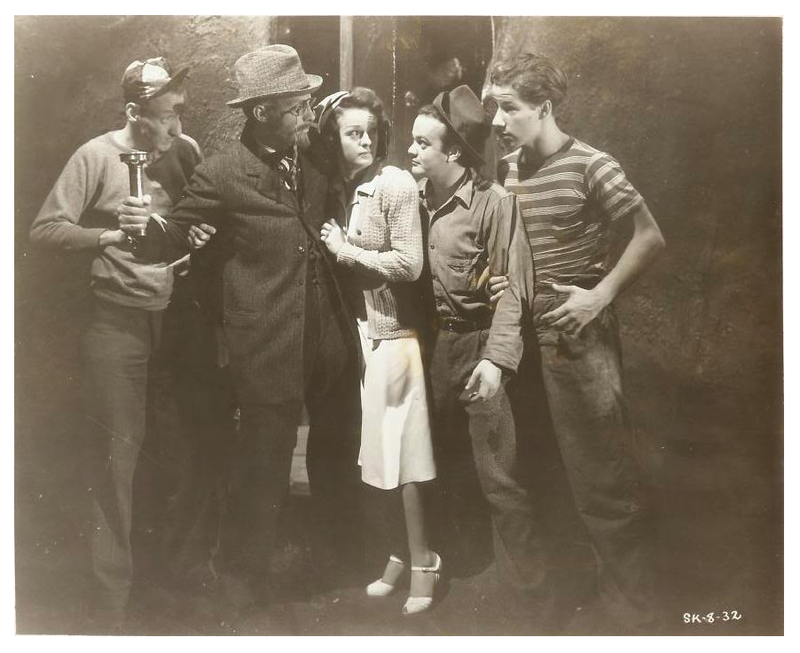 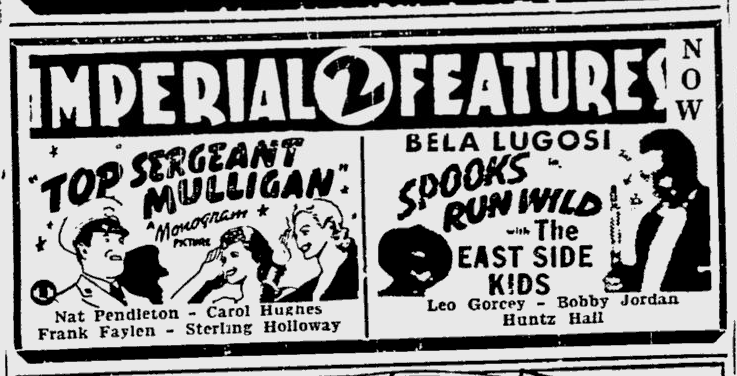 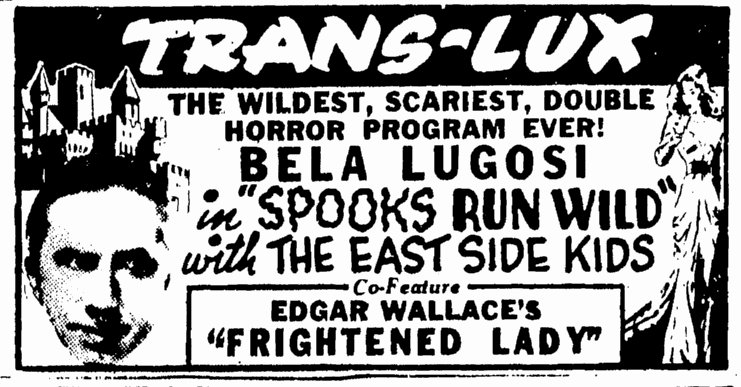 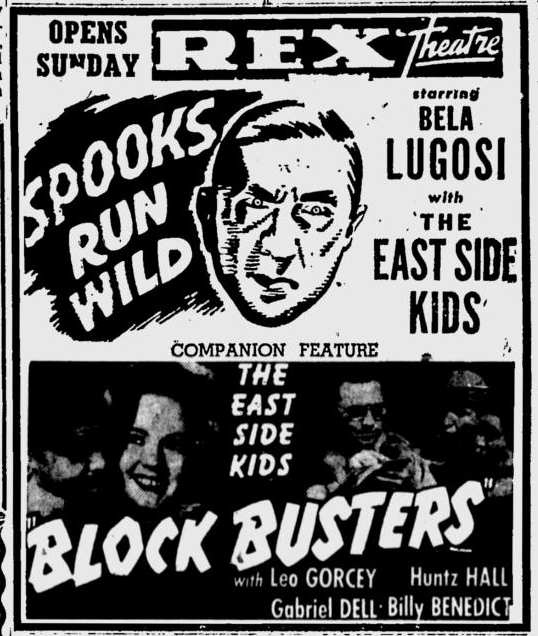 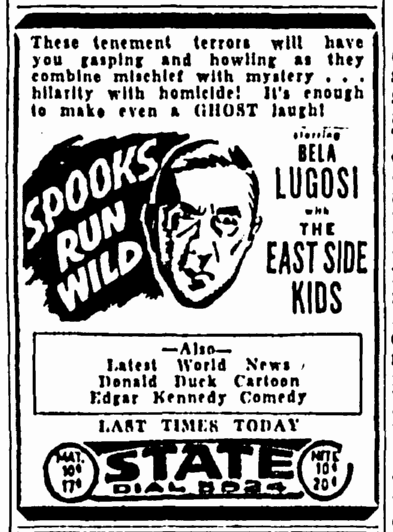 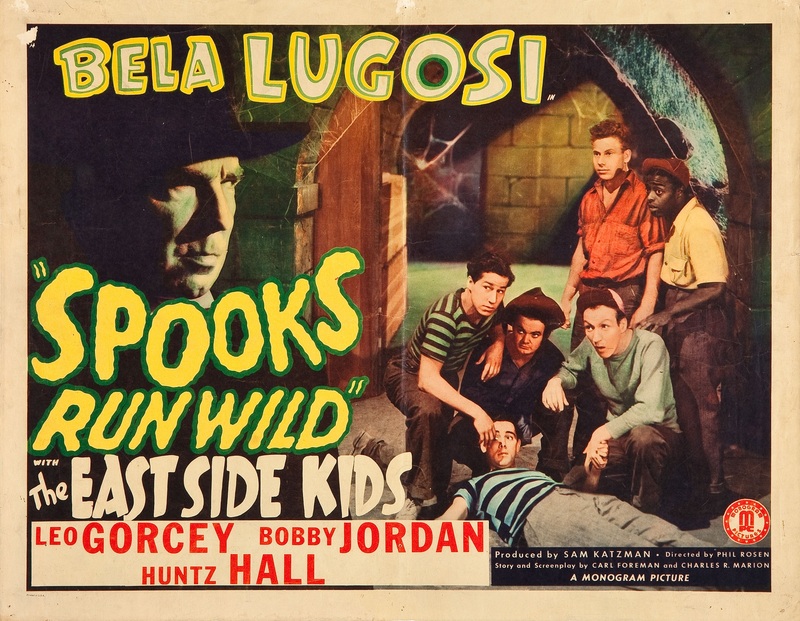 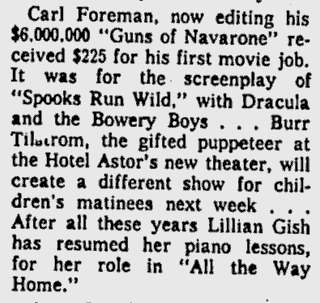 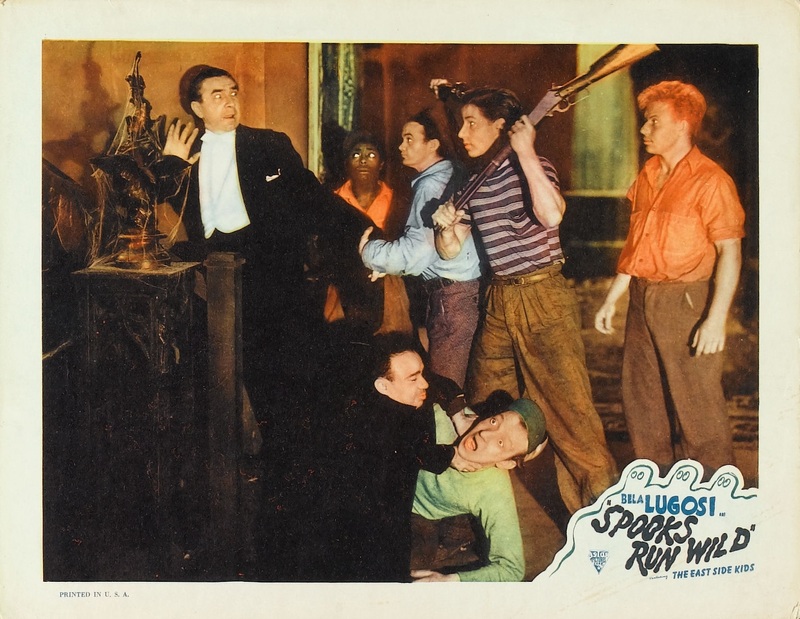 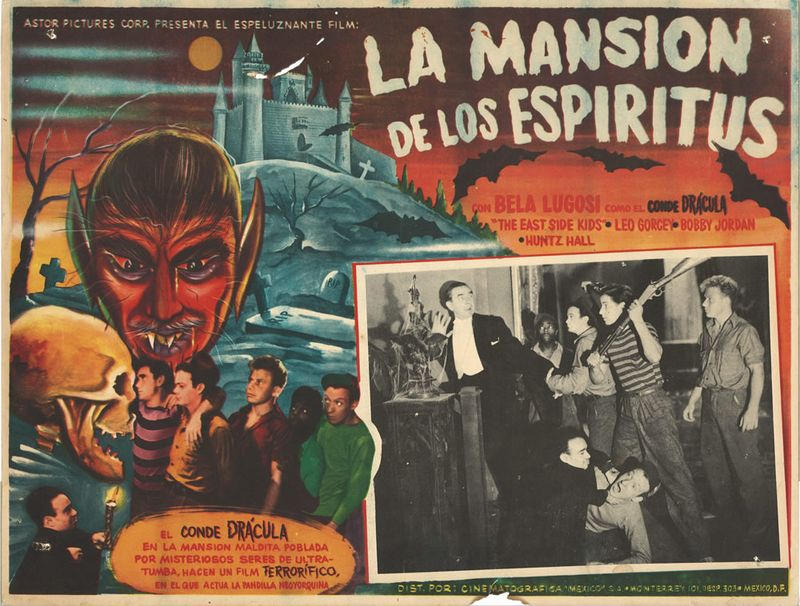 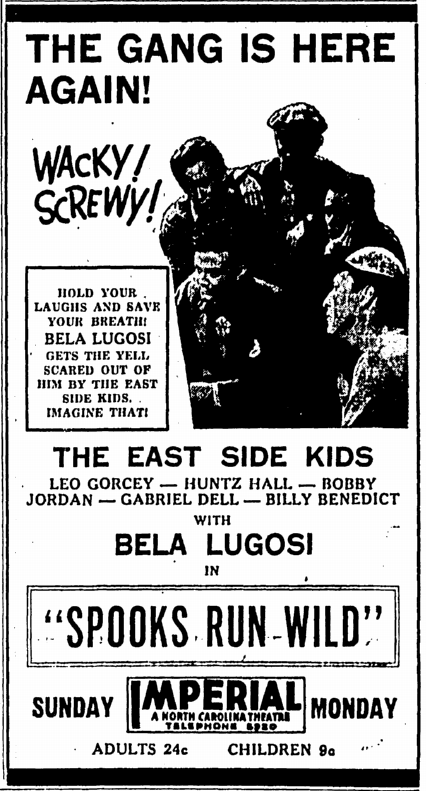 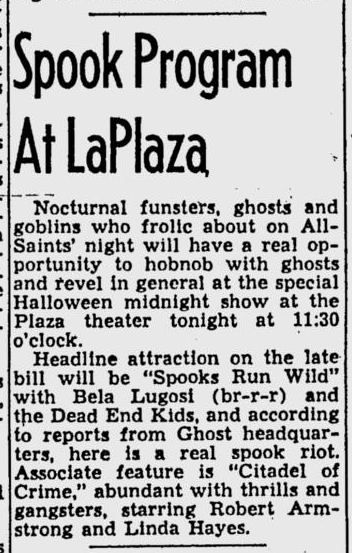 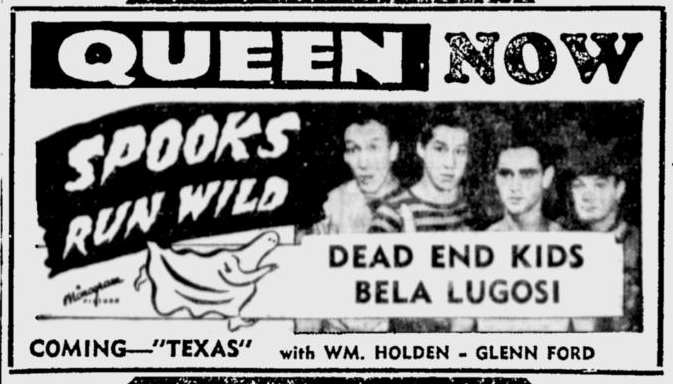 Taking cognizance of the Halloween season, Monogram’s Bela Lugosi and the East Side Kids yesterday played hob with hobgoblins and a script which must have been the distillate of some addled witch’s brew. 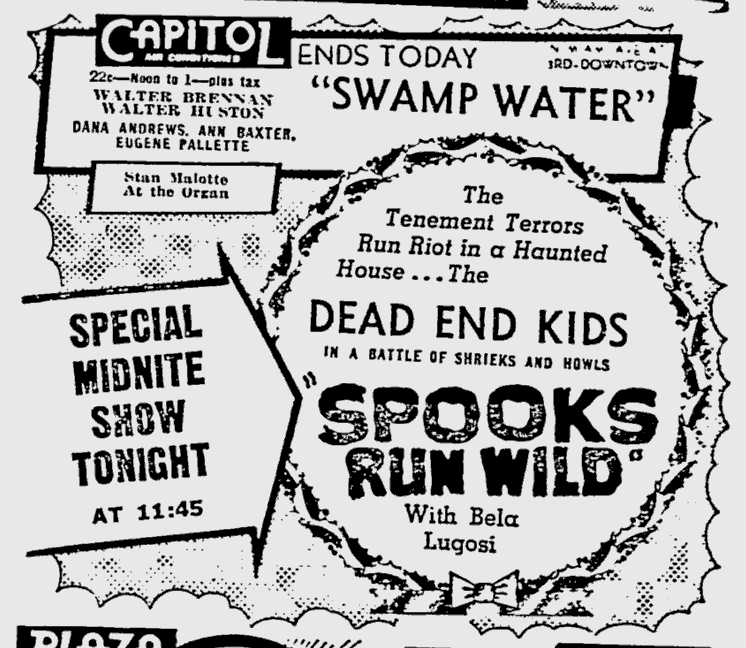 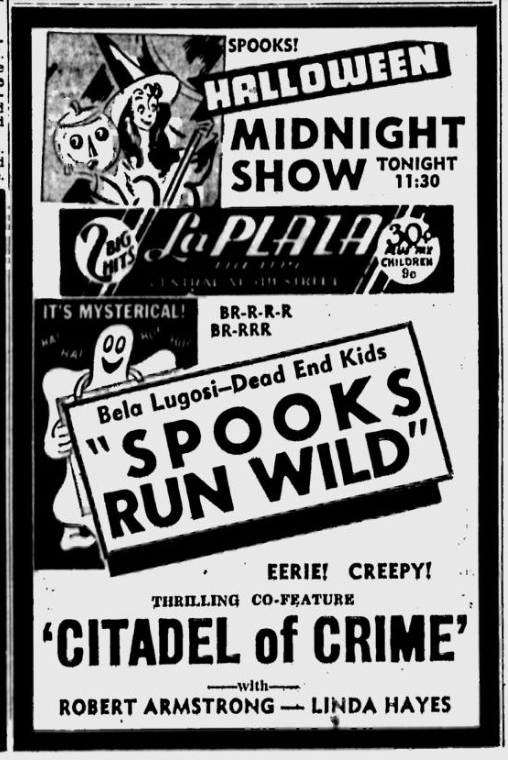 The sum total as represented in “Spooks Run Wild,” which opened at the Central, is less horror than horrible. 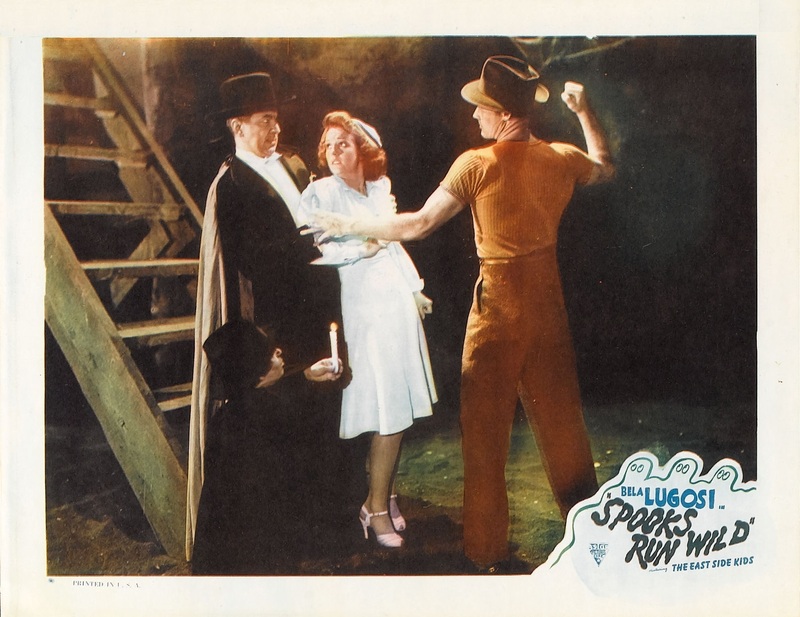 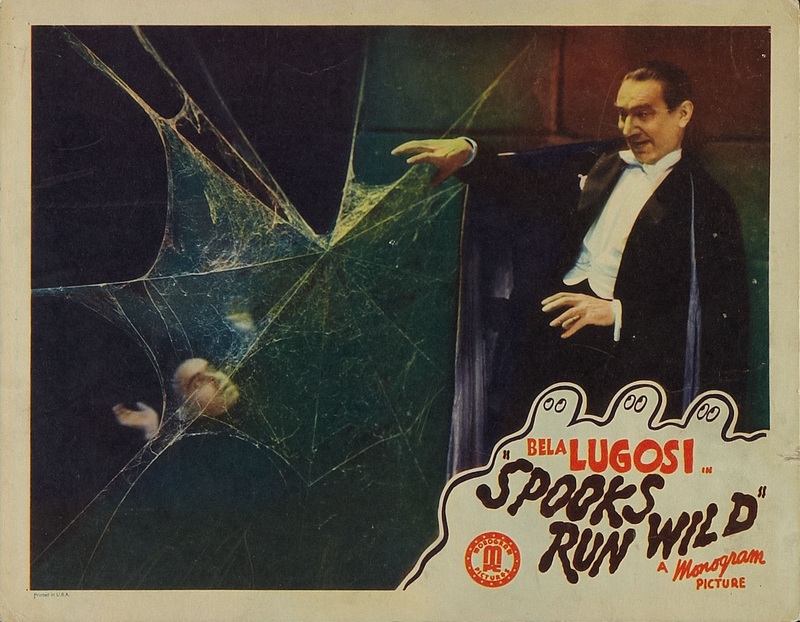 With situations aparently borrowed from the better known chillers, Mr. Lugosi is, by turns, a necromancer, a murderer and a magician. 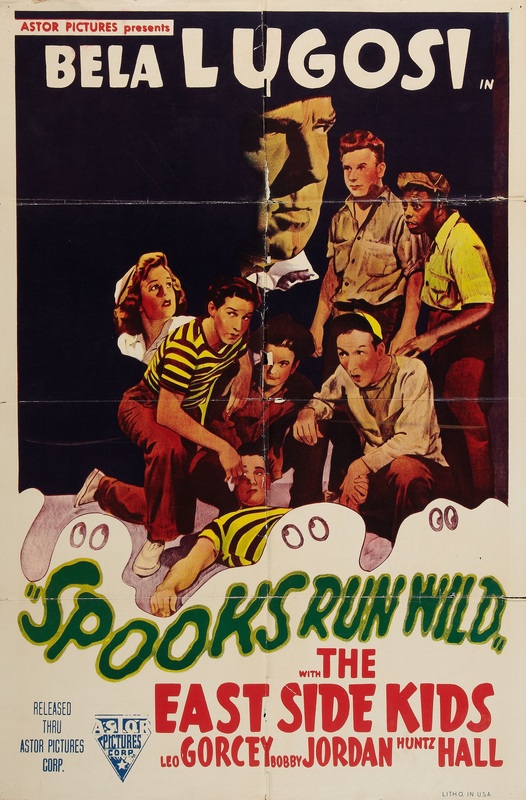 The kids, extrovert recruits from the Dead End school, are supplied with all the appropriate thriller appurtenances from the old creaky mansion where they are loosed to the graveyard, sliding panels and coffin-filled attic. 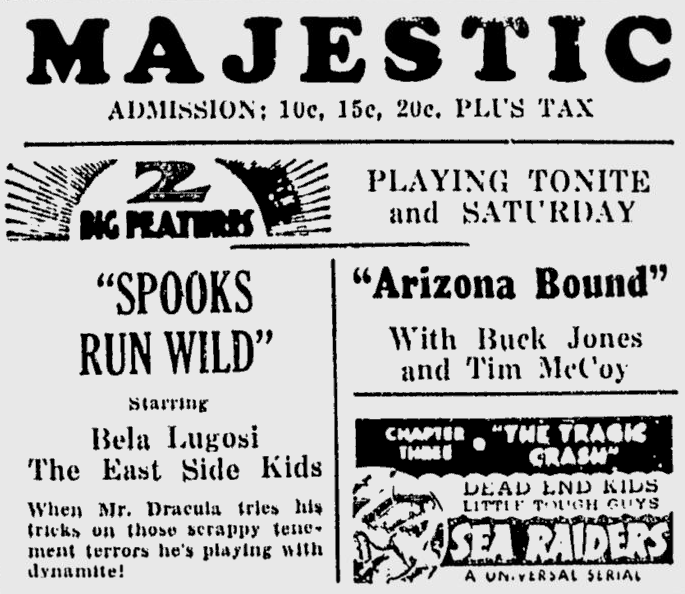 And, of course, they intermittently cringe before the baleful gleam in Mr. Lugosi’s eyes. 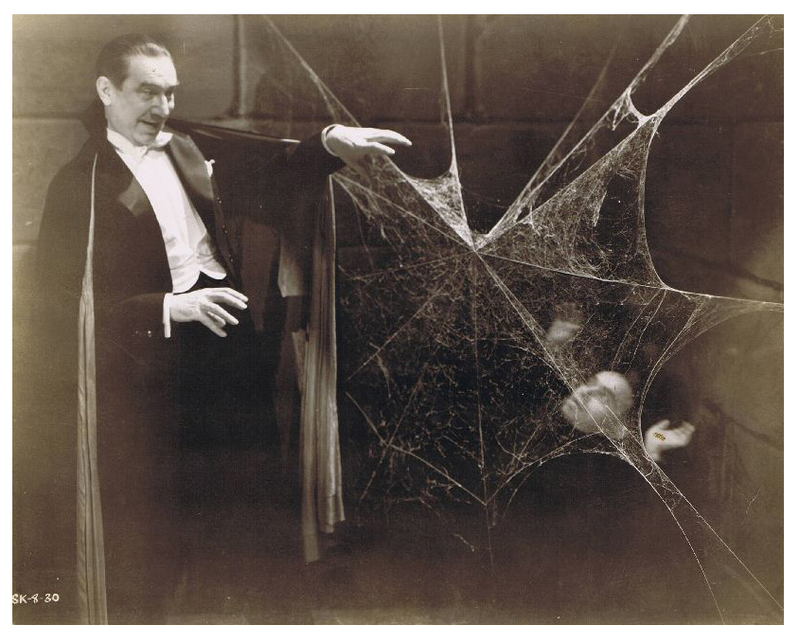 Perhaps the whole business is supposed to be as authentic as a papier-mâché skeleton. 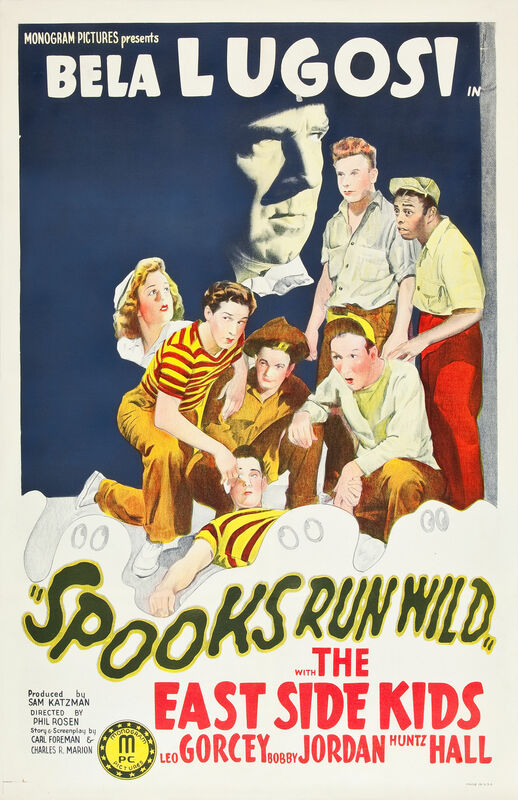 Anyway, in this case, it’s not the spooks who are wild. 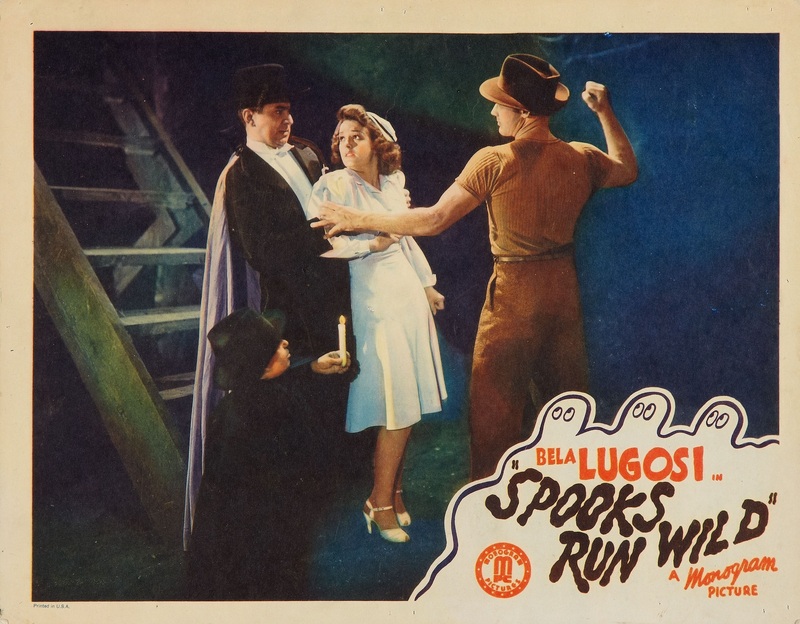 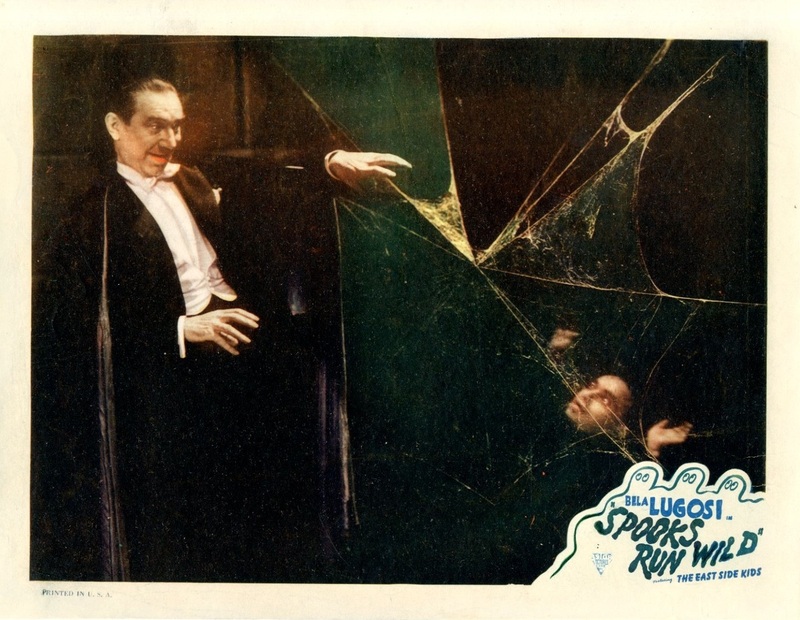 SPOOKS RUN WILD; story and screen play by Carl Foreman and Charles Marion; directed by Wallace Fox; produced by Sam Katzman for Monogram.